I sometimes see confusion among athletes about the Base period of training. This is the time of year when you train to train, not train to race. That means in Base you are preparing the body for the greater stresses that will follow in the Build period. Build starts immediately after Base ends about 11-12 weeks before your first A-priority race of the season. In the Build period you will be training with workouts that are very much like the stresses you will experience in racing. This is training to race. There is a big difference between training to train and training to race and yet I see athletes in Base doing the very same workouts they will be doing a few weeks before their first big event, such as anaerobic intervals, lactate hill repeats, and hard group workouts. These are all workouts intended to prepare you for the stresses of racing, not training. So what should you do differently in Base period workouts? I explained that in some detail in my four-part series on Base 1 (part 1, part 2, part 3, part 4). The training stress in the following two periods gradually increases so that by the end of Base 3 you are much more generally fit than when you started Base 1 and you are ready to begin training for the specific stresses of racing. This process takes somewhere in the neighborhood of 12 weeks. Here’s a quick look at the typical changes I make from Base 1 as the athlete progresses to the Base 2 and Base 3 periods. 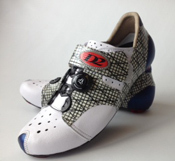 Base 2 starts about 19-20 weeks before your A-priority race. There are two changes that I typically make now. The first is that I have the athlete cut back on weight training, not only in terms of the number of days assigned to it each week, but also the stress applied with loads, sets and reps. Strength maintenance is now the goal. “Functional” strength training may continue as before. The second change is to introduce sport-specific muscular force training with hill work incorporated into steady, moderate effort bike and run workouts. I described these here. For swimming paddles and drag devices will help to create more force. I’ll also include some 3-zone muscular endurance training now. This could be something such as 2 x 20 minutes (5-minute recoveries) or 3 x 12 minutes (3-minute recoveries). The hard part here is getting the athlete to hold back and stay in zone 3. Many want to bump it up to zone 4. There will be lots of time for that later on. Aerobic endurance and speed skills workouts continue as before. The endurance sessions continue to get longer as the skills sessions continue as in Base 1. The last Base period begins about 15-16 weeks before your A-priority event. Two more adjustments are made to the training now. Weight training is cut back even more to just once a week. In fact, if pressed for time it’s now ok to stop strength training altogether (I’d rather see it continue, but specificity is now starting to trump general fitness). The second change is that muscular endurance training is increased. This involves long intervals in the range of 6 to 12 minutes done at about the lactate threshold (zone 4) with very short recoveries that are about 25 percent of the work-interval duration. Twenty to 40 minutes of cumulative lactate threshold training within one workout each week (per sport for triathletes) is generally quite effective. Build from low to high volume in this workout over the course of Base 3. Aerobic endurance, speed skills and force training continue as in Base 2. It is usually best for athletes who recover slowly, such as older competitors and novices, to do four, three-week periods instead of three, four-week periods (the last few days of each of these multi-week periods is for recovery). So these slower-recovering athletes will follow a plan including Base 1, Base 2, Base 3 and Base 3 again. Each period is three weeks. They will still end up with 12 weeks of Base training but will have more frequent rest. And as for rest, both groups, whether doing three-week or four-week periods, will recover with short and low-intensity workouts for three to six days in the last week of each Base period. 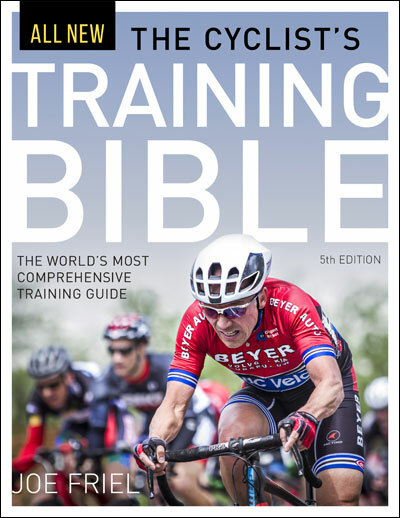 This will help to prevent overuse injury, illness, burnout and overtraining. By following a Base training program such as this you will arrive at the start of the Build period some 11-12 weeks before the first A-priority race with good general fitness. In the Build period the workouts will take on the characteristic stresses you expect to encounter in racing. I’ll discuss that more at a much later date. A question about the Zone 3 intervals you recommend for Base 2. In your Training Bibles, you recommend doing a single Tempo segment starting at 20-30 mins about twice a week, adding 10-15 minutes to the segment each week. Here, though, you're recommending interval training in Zone 3. Has your thinking on this topic changed, and thus we should follow this new recommendation rather than doing Tempo rides in Zone 3? Paige--I've been doing what I suggested here for my athletes the last 2 years with some success. But not everything works the same way for everyone. We all know that VO2max is a very important factor and athletes which have been racing for years usually maintain their VO2max year around at the same level. However, a new athlete (like me) still needs to develop his engine and therefore I incorporated VO2max workouts (twice a week 4-5min run intervals at 3k speed) for the sole purpose of increasing my VO2max which I estimated to be around ~53 mls/kg/min (from my 5k time). I know a long steady run will also increase my VO2max but not as much as a specific vo2max workout. So my question: Can I justify (since I'm at the beginning of my training) that I do these intervals even in the base period? Fritz--I've said this before, but I don't believe there is any negative consequence physically from doing above LT/AT intervals in the Base period, even year round. The possible exception is for novice runners. Injury is highly likely. But for swimmers, cyclists, XC skiers, etc it's probably not going to be a physical challenge. But it may become a mental one. Variety plays some role in an athlete avoiding burnout. Joe, already done 3 months of base work this year with 2 tempo sessions (60-120min. L3) weekly and one Sweet Spot workout, and 2 L2 rides of 3 to 4 hours. I have 3 more months of base to do at this point before I start my build. Do i delete an L3 session for another sweet spot or what here? Or should I just keep on with what i am doing? 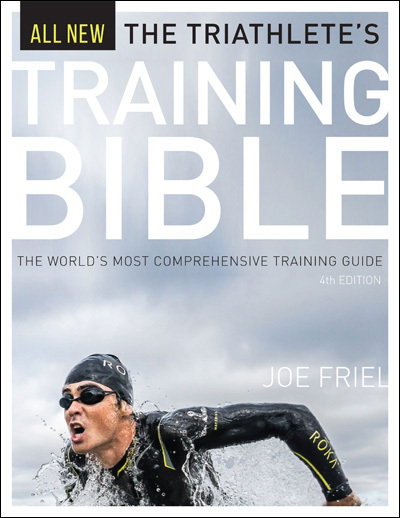 I've been used the Tri Training Bible this past season with much success! Do you still recommend a Prep period, or suggest starting off with Base 1? How do you feel about training on a fixed gear at this stage? I live in a hilly area and with my gearing it seems like it would be force training, but I am concerned about positioning. It is not the same as my road bike because of the shorter cranks (165 versus 172.5 on the road). Would that cause a problem in form later? Thanks. What are your thoughts on extending base period as a whole? My guess is that if you have time till your first A race, it wont hurt to do more Base (my guess is that better to spend more time in Base 2 or 3, versus Base 1). What about doing 4 weeks on and 1 week recovery? Assuming the athlete has 10 weeks to Build and with Base 1 completed, have you ever done 4+1 for Base 2 and 3 for your athletes? Any advice, tips? Am assuming like a mini recovery period after 2 weeks might be a good idea (maybe 2 days off instead of the typical 1 day off). A question regarding fitting in 'C' races within Base (and other) periods. As I understand it, the intention is that 'C' races should not interrupt a given week, and should be classed as 'just another workout'. What sort of workouts should they replace in Base-1/2/3, when intensity is low? Should they replace the once-a-week 3-zone work discussed above, or should we be making space for that as well? What are you thoughts on 16 weeks of Base? I live in Salt Lake City and typically look for my results in June and July. The climate dictates my preference for a mid summer peak. Because of the cold, I prefer to add a second Base 2 phase, primarily because I do most of my long endurance days on the XC skis. What is your take on 8 weeks of Base 2? I've seen plans where you advise 8 weeks of Base 3, but the problem is that it requires more time on the bike, which isn't always the best approach in the intermountain west come February. I find cold, cold rides about as draining as long sessions on the trainer. It seems that until a rider is ready to committ six days a week to the bike, he is best served staying in the middle phases of Base training. In your opinion, when designing a workout, is there any difference in net effect on the athlete whether the workout is done via a CT .erg file (computer controlled load) versus the athlete self-achieving the same load on a regular trainer (or CT not in erg mode)? 1) I seem to remember something about doing timed workouts in each of the three triathlon disciplines during recovery weeks as a way of measuring gains in fitness. Are those timed works recommended during the 3-6 days of recovery-oriented workouts prescribed for the last week of each Base period? 2) In Base 1 Training, Part 3, it says that Base 1 and 2 are 3-4 weeks each; and in the current post on Base 2 and 3 training, it recommends cutting back strength training to maintenance levels. If Base 1 is the only period when strength training is emphasized, and it only lasts 3-4 weeks, that doesn't seem like enough time to develop strength. Am I missing something? Joe, you mention that recovery weeks in the Base period should only include short and low-intensity workouts for 3-6 days. Does this mean NO Force or Muscular endurance workouts? Only Aerobic Endurance and Speed skill workouts right? Hi Jay--Yes, I think that's best for recovery. Bruce--Yes, if you're going to test the time to do it is at the end of those 3-6 days. As for strength training, I've found it only takes 6-9 sessions to achieve max strength. That can probably be done in 3-4 weeks. But it may 'slop' over into base 2. Tryinghard--No, I don't there's a significant difference. Sam--No problem with 8wks of base 2. Matt--Generally, it's not great to race seriously in base 1-2. It probably won't replace a workout because in base 1-2 the intensity is 1-3 zones, primarily. So just race and don't be concerned with it. Marcus--The more base training the better. Oscar--Fixie training is good in base period. I can't speak to your set up and if that is a problem or not. Need to see a bike fitter to answer that. Brandy B--A prep period is great if you've been of for a few weeks. The other concern, however, is how much time until your first A race. Need about 23 weeks if following a traditional periodization plan. John K--Hard for me to say not knowing anything about you are responding to your training. Need to determine if plateauing or not. If you are then more SST. riding again now but the injury has not gon away yet the specialist recommended I stay off till January. 1. If I'm able to start in Jan, would you recommend a long Trans period like 6-8 weeks before I start with base. Slowly build up to Base hours? 2. While I'm off now, what cross training would you recommend? Swim or run? Maybe something else?? I'm quite an active cyclist, do bout 900hours a season. My first A race(70 km MTB race) is in the middle of June so I´m only in my prep period at the moment. However my question is if it is better to have a period of 8 weeks Base 3 training (Total 16 weeks Base)then 8 weeks Build 1 or 2 Training (Total 12 weeks Build)? Or is it flexible depending on where your limiters are?